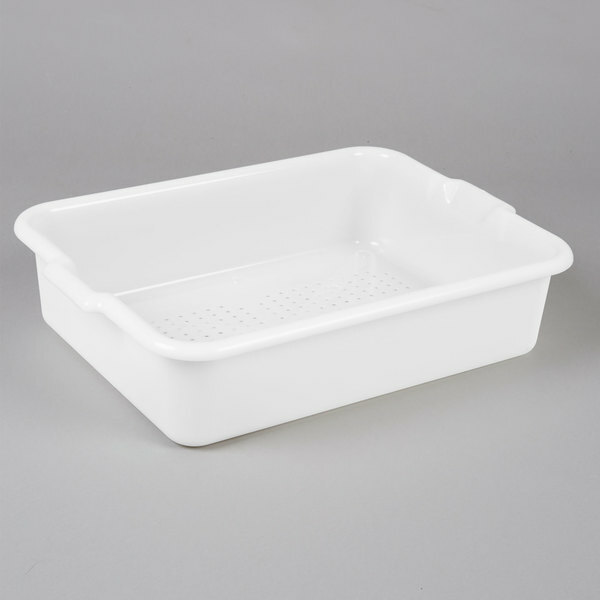 Drain liquids with ease with this 20" x 15" x 5" white polypropylene perforated drain box! 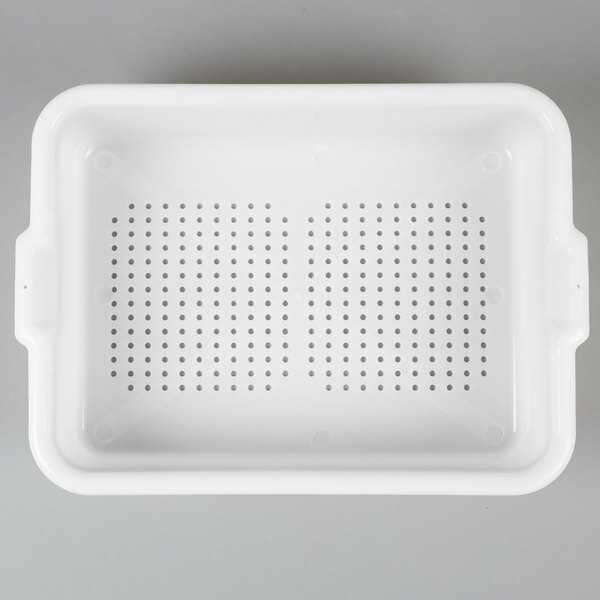 Great for everyday operations at any eatery, this mid-sized drain box is perfect for draining excess water off of fish, poultry, fruits, and vegetables. 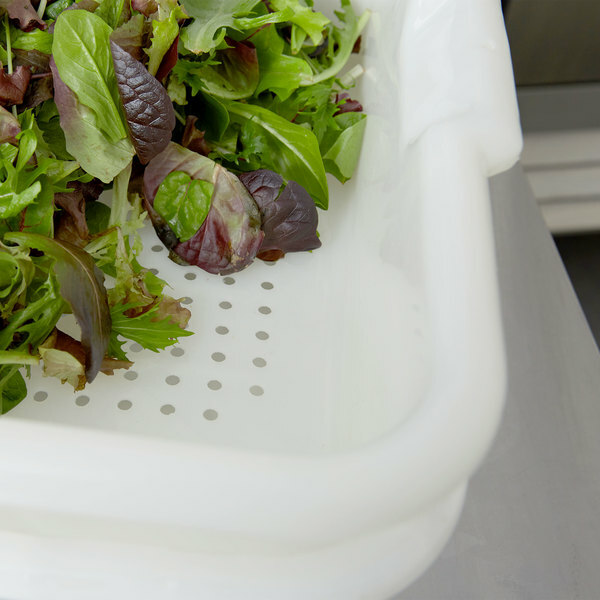 Whether you're tossing freshly cleaned lettuce or thawing shrimp for tonight's special, this drain box functions as a professional, practical option in any setting. 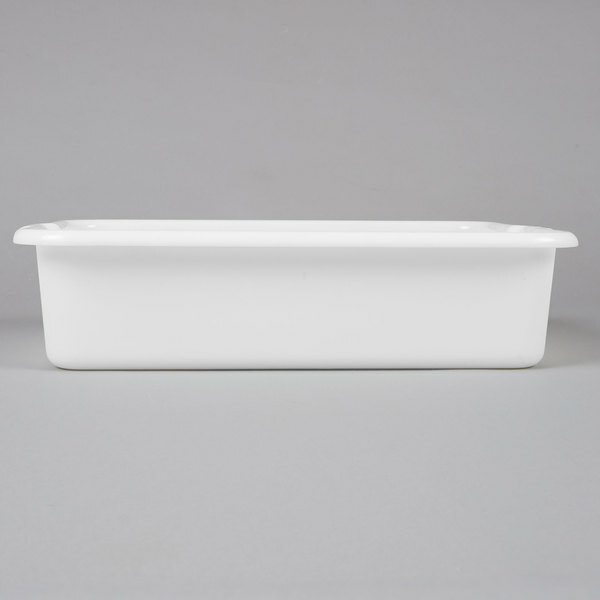 The sleek white color helps this drain box blend in for a discreet addition to your restaurant. Plus, this item allows you to soak and sanitize your flatware without using a sink when used with a compatible bus box and lid (sold separately). Using the flatware soaking system as opposed to hand washing in a sink also helps keep hands away from harsh chemicals and sharp knives. 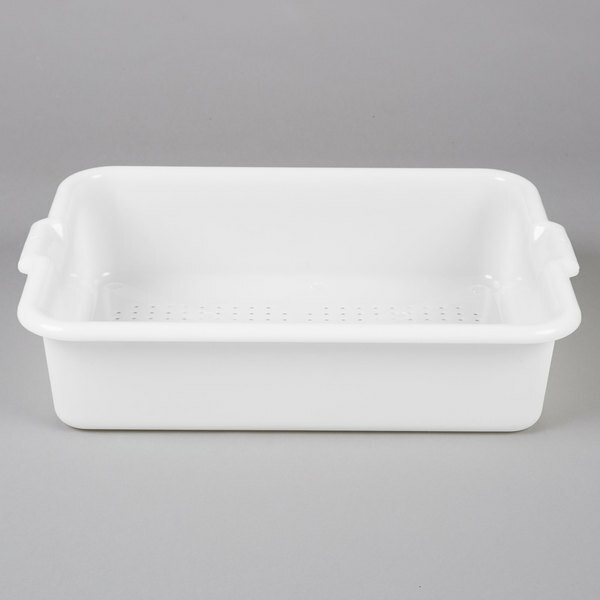 Just put your utensils in the drain box to soak, and then remove the drain box when you're done. No more feeling through sudsy water to retrieve flatware or cleaning products! 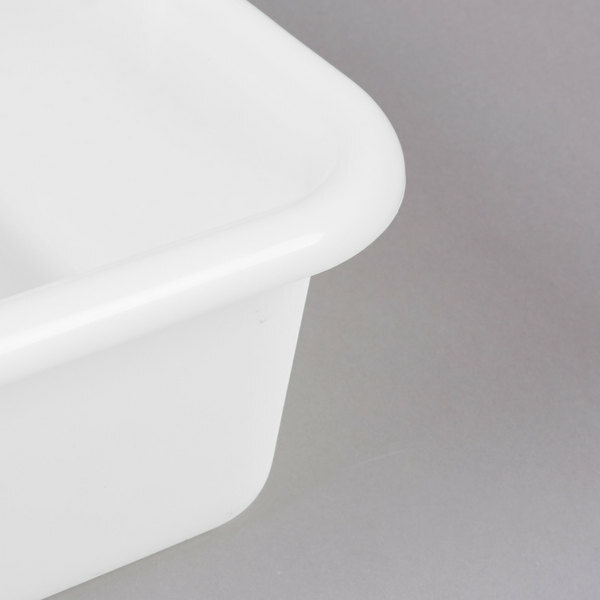 This item comes with sturdy, reinforced handles that make it easy to securely hold your drain box, whether it be transferring from sink to table or shaking off water when cleaning large batches of berries for parfaits. 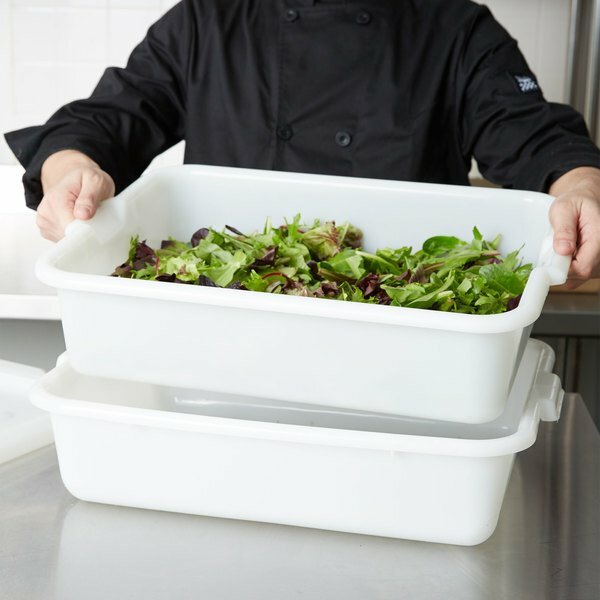 Boasting durable, polypropylene construction, it's built to carry even the heaviest cuts of meat or large quantities of ready-to-rinse vegetables. 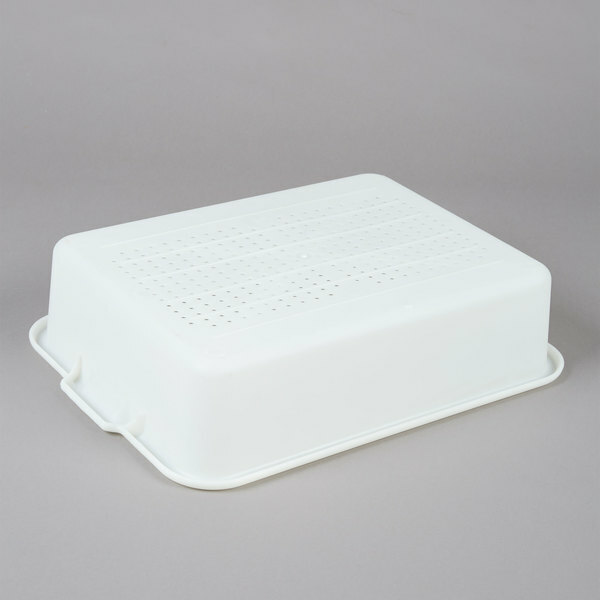 Make your eatery more efficient and clean with this drain box! I've been pleased with these containers. 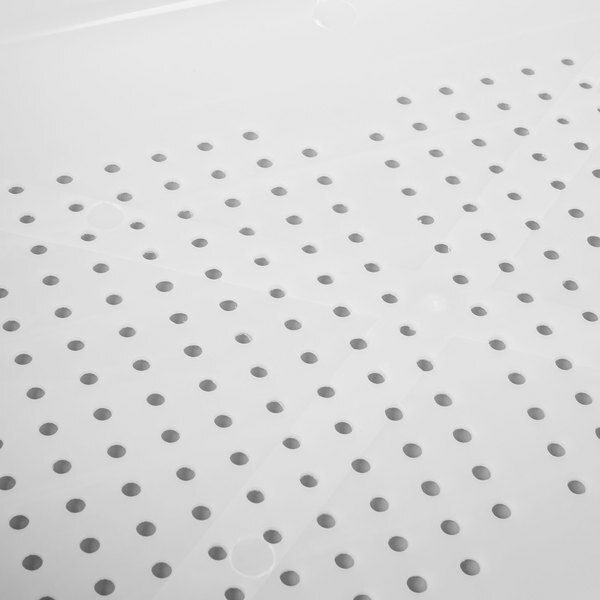 These perforated ones we will be using for fruit / veggie washing and preparation inside the larger 7" containers.